You know that excitement the night before you collect a new car? The almost nervous feeling that frustratingly fades the older you get. It seemed so easy back then. My most memorable upgrade was trading my Nova SR for a concourse Arctic Silver E36 M3. I couldn’t sleep for weeks before the big day! 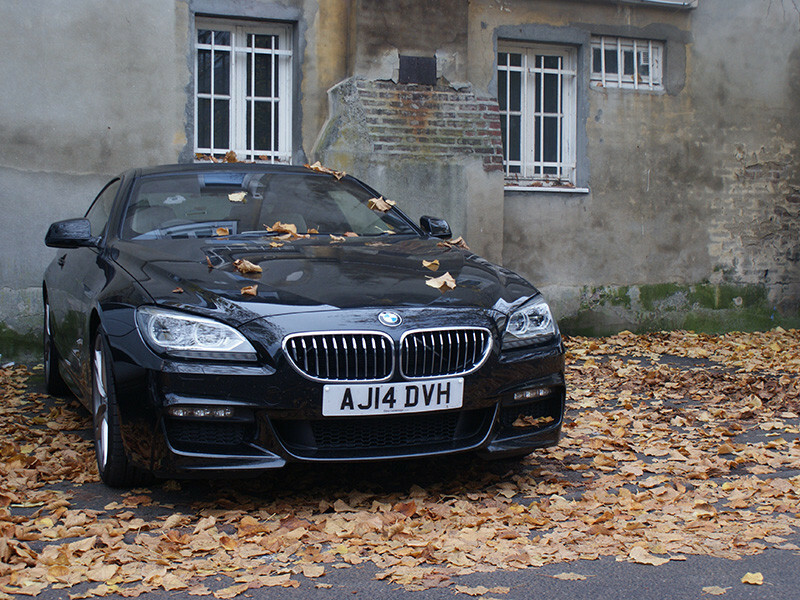 Well I’m happy to say that I got a full dose of that feeling in the build-up to collecting the 14-plate 640d M Sport you see here. OK, it wasn’t actually mine to keep, but this is what struck me the most about the whole experience. Even though this was an Elms BMW demonstrator, the feeling of excitement and anticipation wasn’t far off my Nova-to-M3 leap. Aside from the executive 7 Series, the 6 is as opulent as they come. More so, I reckon, thanks to the added aspirational styling. The example on loan here was so loaded with optional equipment it took me an hour outside the dealership just to familiarise myself with it. Metallic sapphire black. Ivory white Dakota leather. Comfort seats. Heated steering wheel. American oak trim. 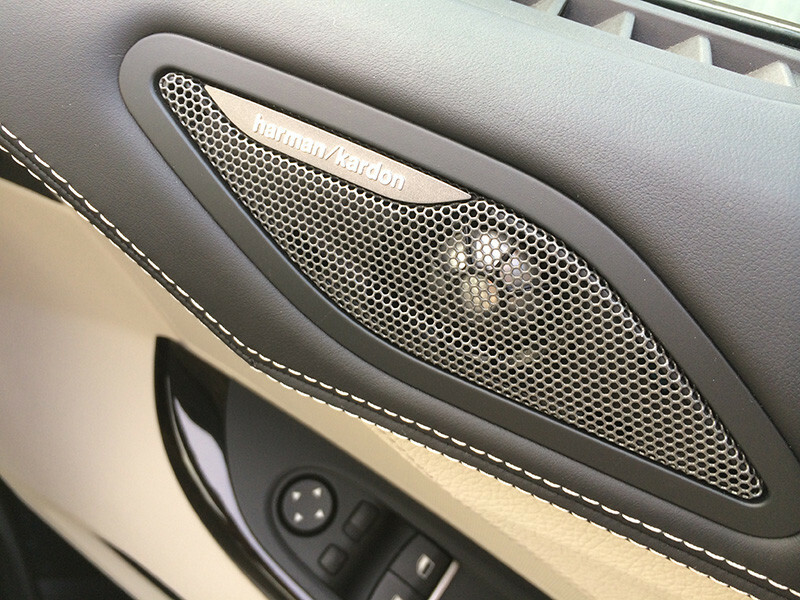 Harman Kardon surround speaker system. Soft-close doors. 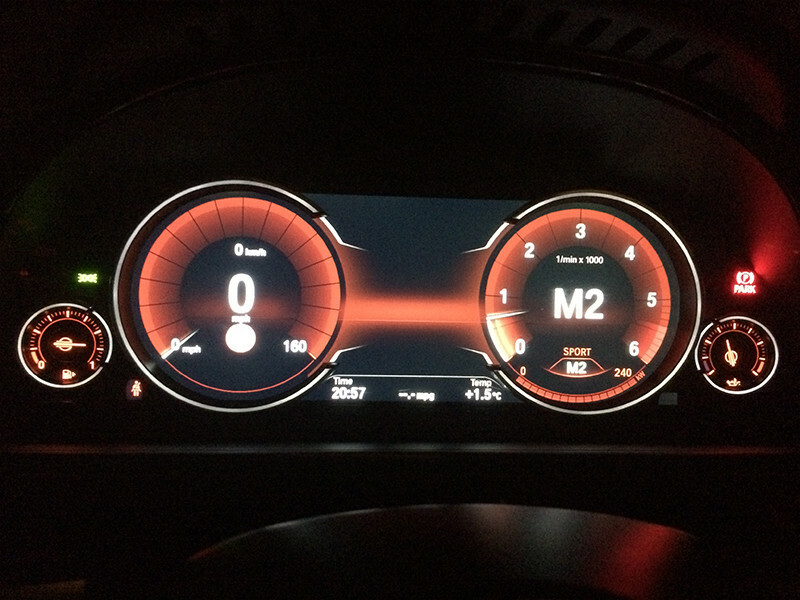 Multi-function instrument panel. Driver and passenger lumbar support. Sun-protection glass. Climate comfort windscreen. 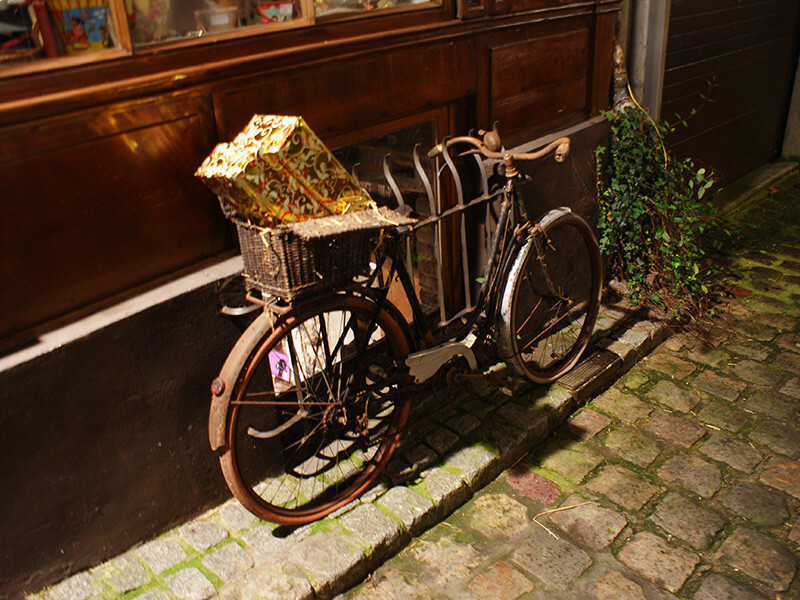 20" M double-spoke alloy wheels. High-beam assistant. Head-up display. Speed-limit display. Reversing-assist camera. And it goes on. For now let’s address the elephant in the room. 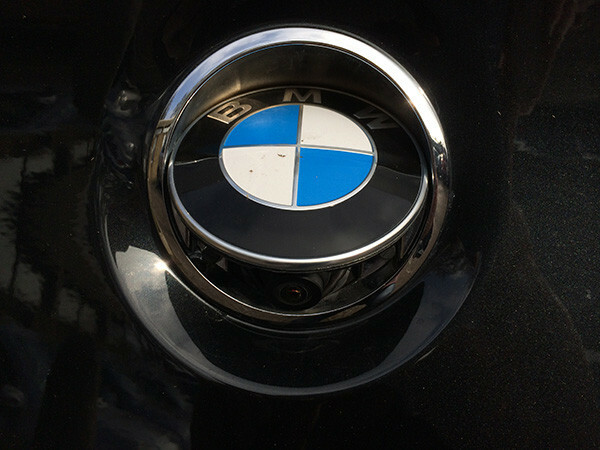 Despite the 640 branding, it doesn’t actually have a 4-litre lump. Instead it’s a 2,993cc 8-speed twin-turbo that makes 313bhp and 464.69 lb/ft pushing you to 62mph in 5.3 seconds. So despite the disappointment of losing a litre, you quickly find out it’s hardly a slouch. And that’s a wonder when you consider its whacking kerb weight of 1790 kg. But the essence of a GT car is continental cruising. 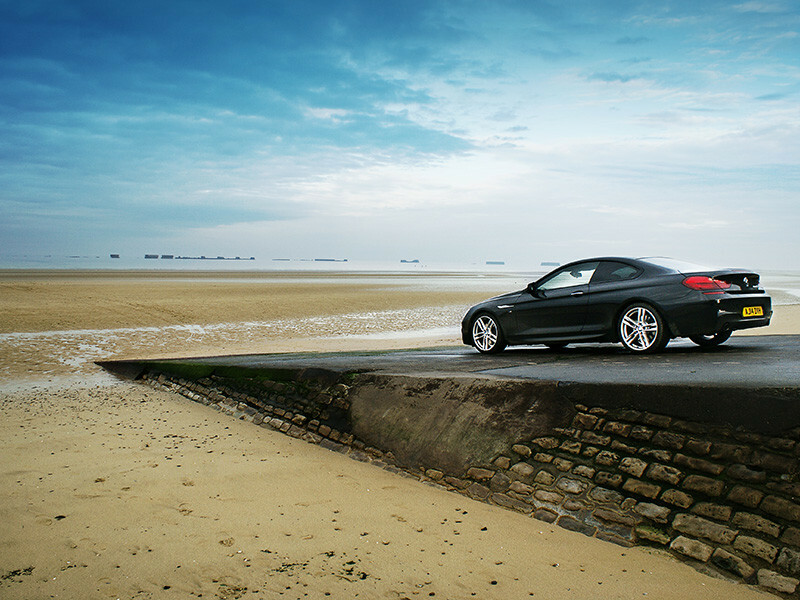 So it only felt fair to test BMW’s latest coupé in its natural environment (my remaining holiday allowance permitting). 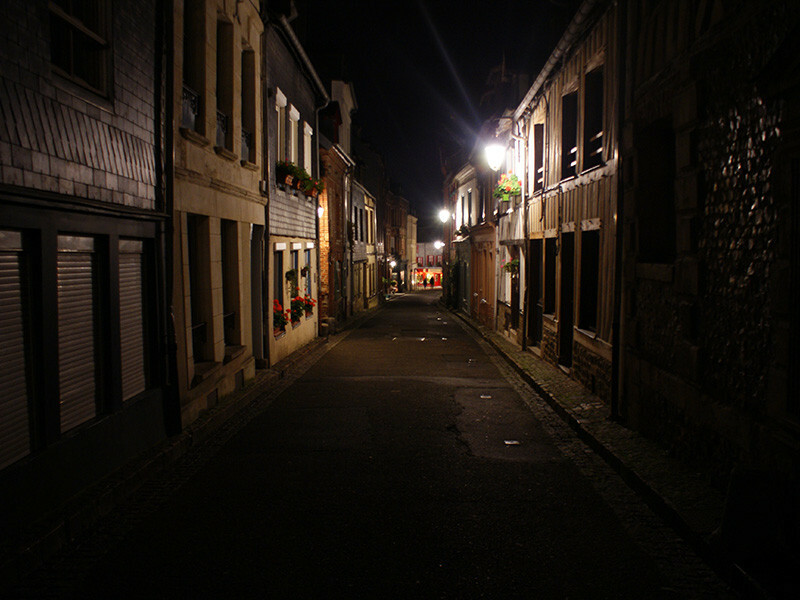 Destination: Honfleur, north-west France. First question: which fuel? It’s going to be Shell, which leaves the remaining question of V-Power Nitro+ or FuelSave? Let’s answer that question another way. Would you feed your one-hour-old son or daughter a bargain bucket? As a driver, the first thing that strikes you is how wide she is. It’s like sitting in a giant La-Z-Boy. The centre console is enormous. 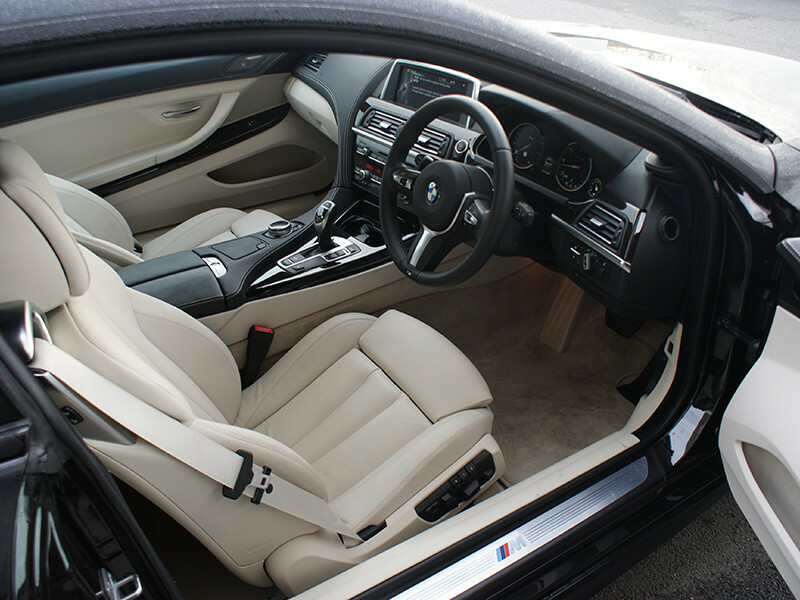 Ergonomically cocooned around you and lavishly dressed in contrasting open-stitched leather, right up and over the dash. You’re made to feel incredibly special and begin to understand why the 6 is so critically acclaimed. We reached the Eurotunnel without even moving the fuel gauge. But not everything was going to plan. Embarrassingly, as we boarded I scraped the nearside front alloy. I couldn’t believe it. I’ve been lent a 50-grand car and I’ve grazed the rim in the first three hours. What am I going to tell them? “Yeah nice car but it’s a bit wide”? 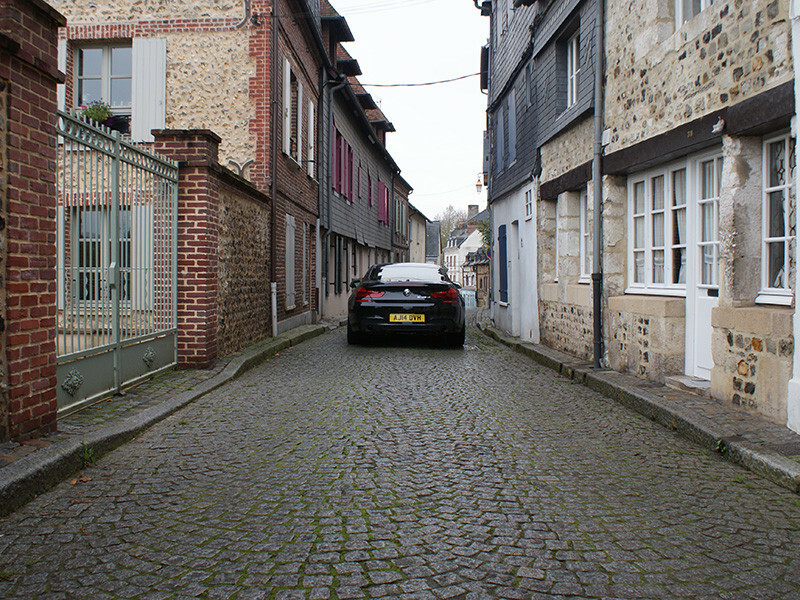 In France, the super-intelligent, shark-like coupé came into its own. 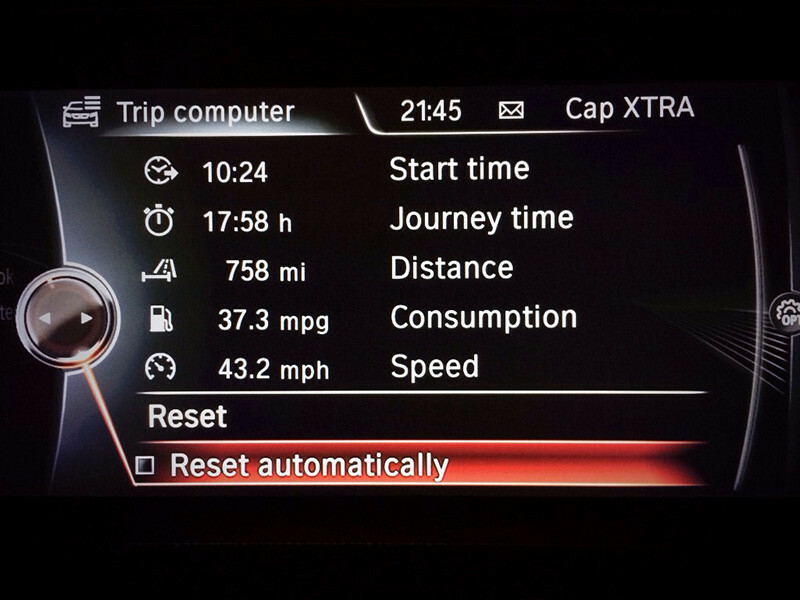 The multi-function dash now displayed kph. The clock updated itself. 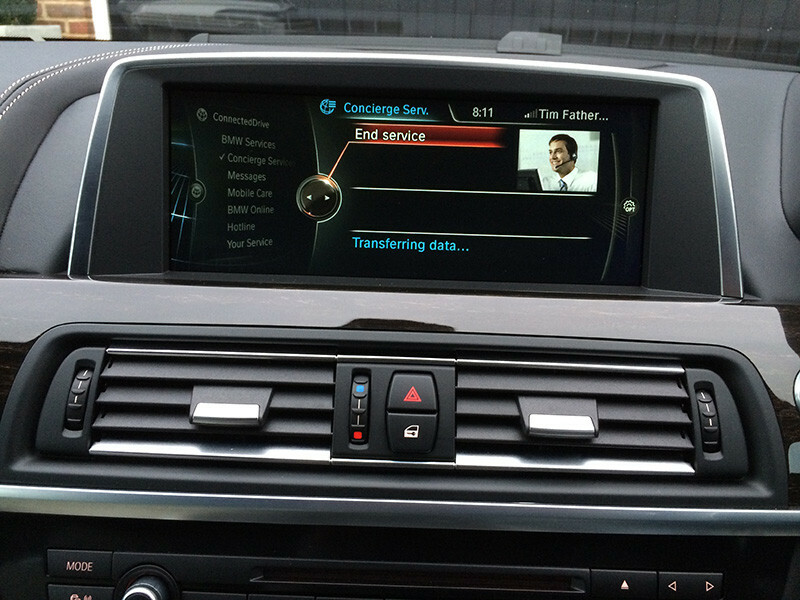 The head-up display with navigation offered confidence. The La-Z-Boy comfort seats hugged and, of course, the Michelin-star fuel was firing flawlessly. This was the first time I needed the car’s help, and it was right there with me, answering all my questions. BMW has truly redefined the GT sector. But by evolution rather than revolution: by honouring its predecessors. Even the “difficult” hammerhead-shark looks have been cleverly subdued. And that’s probably good whether you’re a fan or not. 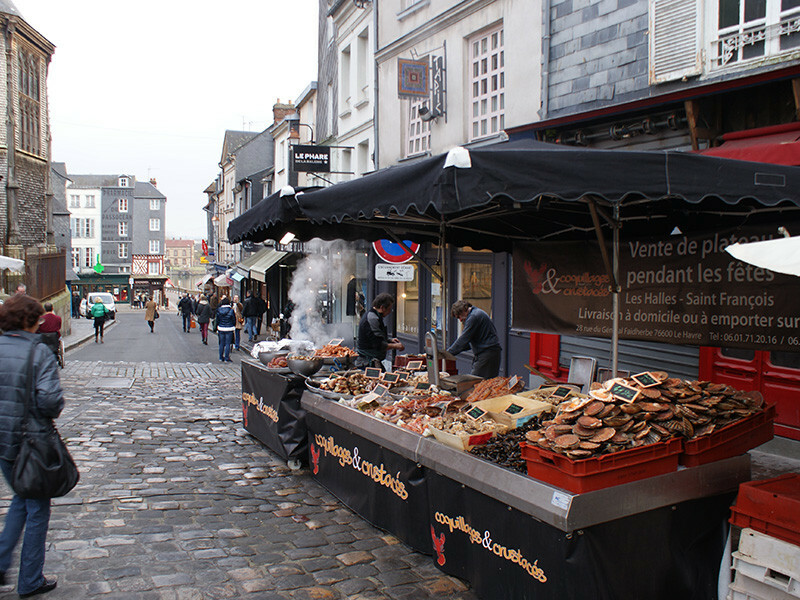 Honfleur, at the mouth of the river Seine, had a long stint as one of France’s primary ports. But the main harbour became unusable for larger ships due to a build-up of mud. 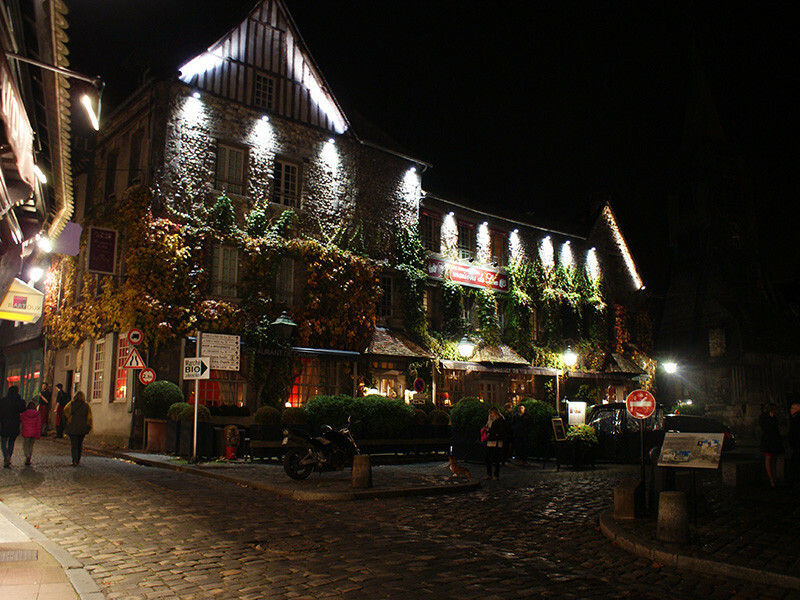 This stunted its growth and preserved the picturesque medieval village. The port is surrounded by a very odd sprawl of ageing high-rises, but it still feels beautifully calm. Its the perfect place to spend a weekend exploring and – err – drinking. 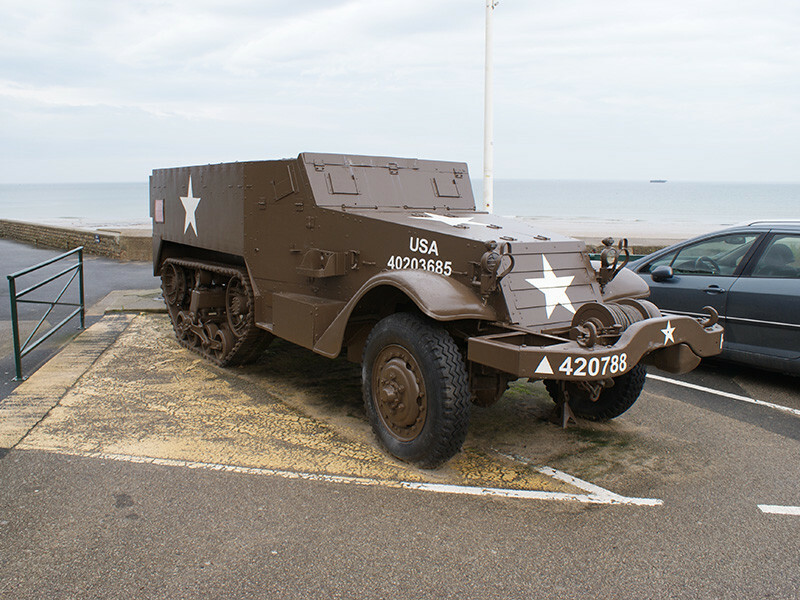 I was keen to explore and learn more about Normandy’s history so I read up on the best driving routes to follow the events of D-Day, and they start near the river Orne. But with so many choices and only two days, I had to be selective. 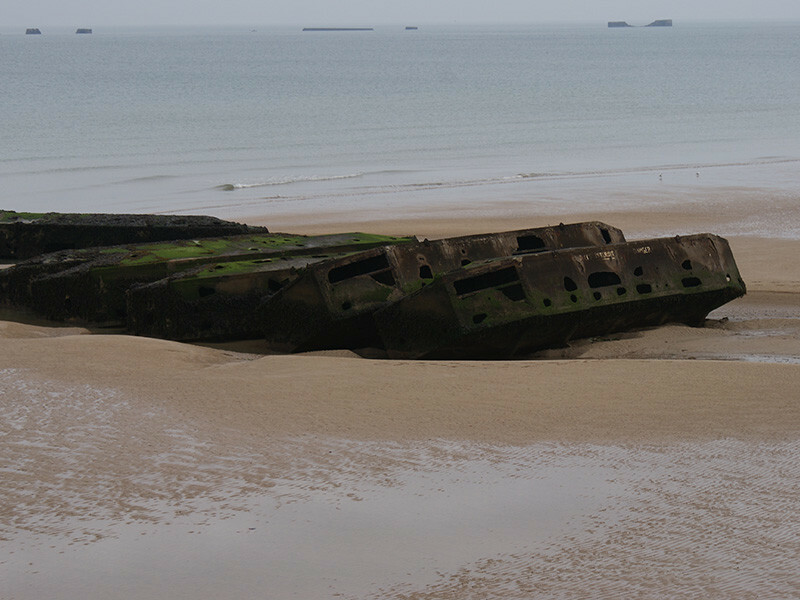 The seaside resort of Arromanches was an easy choice. Here the surrounding chalk cliffs frame the evidence of the Allied assault. 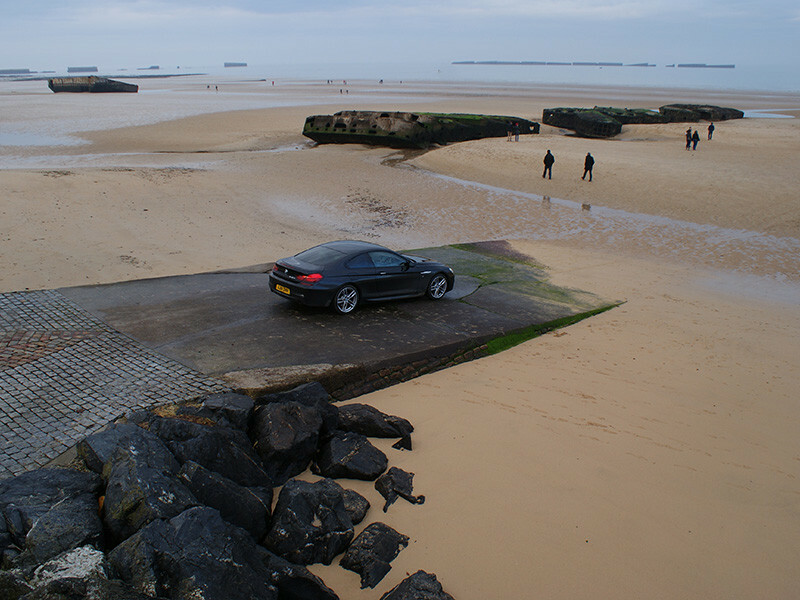 The huge concrete chunks of its Mulberry harbour remain mysterious. I felt a strange mix of emotions: children playing and paddling close to tearful visitors laying flowers. 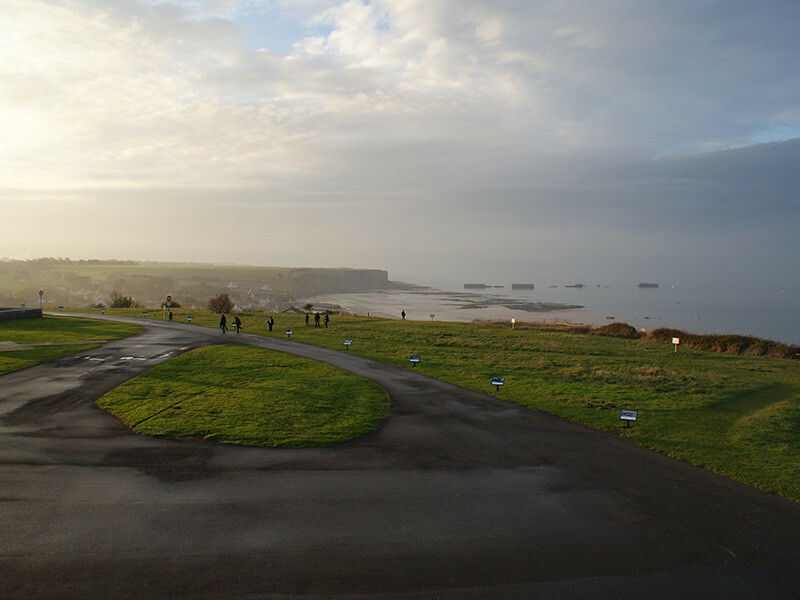 It’s a lovely, peaceful place, and it’s hard to imagine two million men coming ashore here in the D-Day landings. 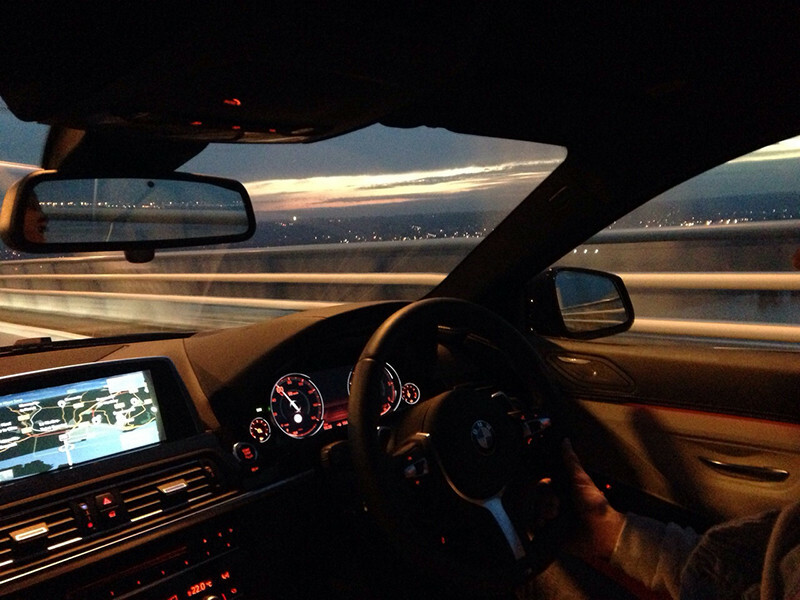 As the sun set we cruised back to our hotel along the winding seafront, slowly transitioning back into the epic F13. And so to dinner. 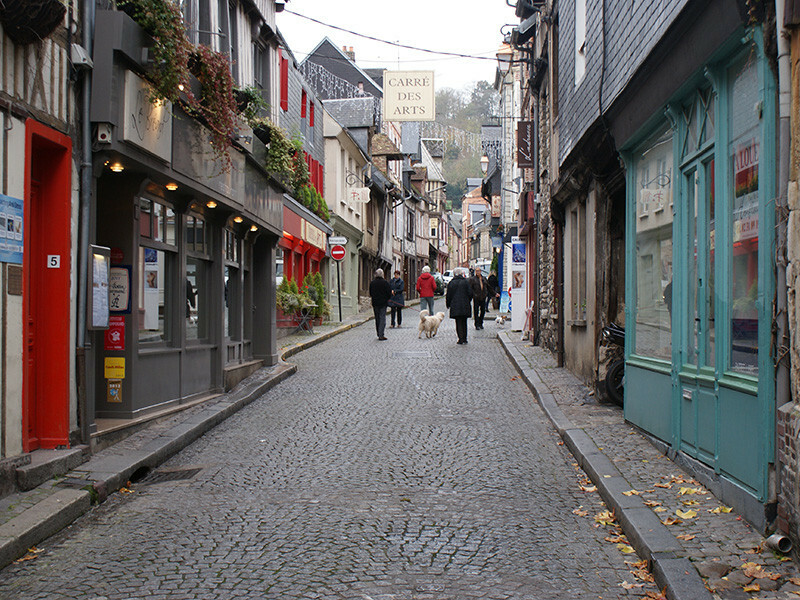 Honfleur offers so many restaurants you can’t really go wrong. For the best though, leave the harbour and walk on the main road nearest the coast. 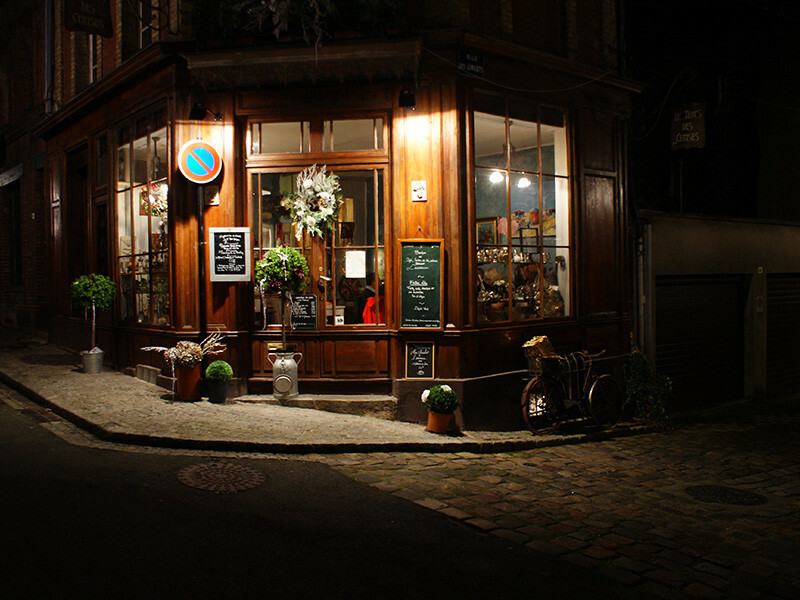 Michelin has recommended many, but you’ll likely need to book in peak season. Breakfast on the other hand is a bit bloody different. Ask for anything other than bread and coffee and they’ll look at you as if you’d walked in without your trousers on! As we set off home for London, the honeymoon period was over and the nit-picking set in. It does seem incredibly electronic. You feel like you’re the only remaining analogue part, and there are plans to supersede you. 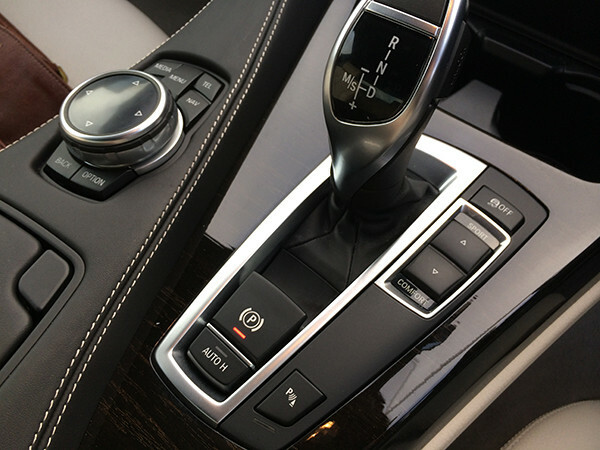 For example, the electronic handbrake is horrible. I still hadn’t mastered which was on and which was off even after two days. And that slightly lardy rear end still hasn’t grown on me. It’s got a rather American (or should I say Chris Bangle) feel to it. And the slab-like, Toyota Soarer style taillights don’t help. 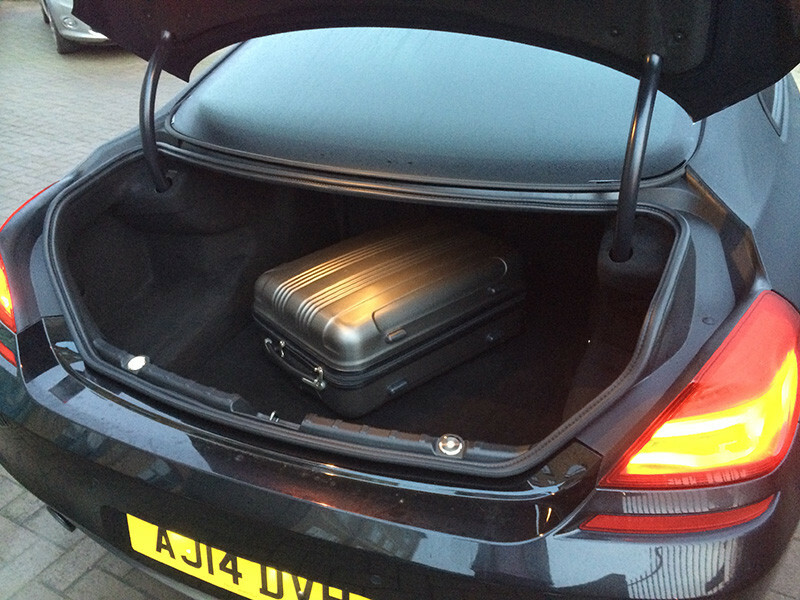 Also, the longer I look, the more I think it lacks a lovely arched boot lid. Cue M Performance mod. 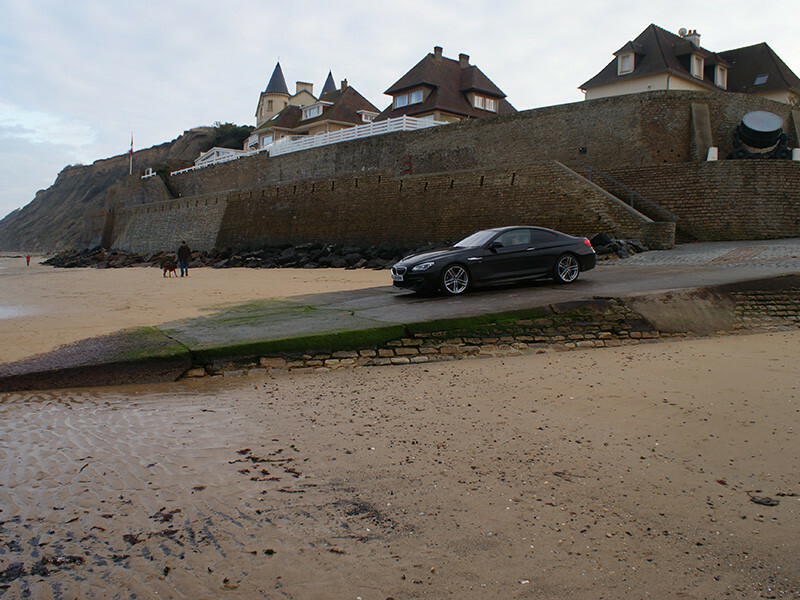 Naturally though, you forgive these imperfections – mainly because of the huge waves of joy the car gives you. I don’t usually consider buying new. However, I have a soft spot for the 6 and I’ve been captivated by this lovely example. It’s the indescribable feeling of owning something so considered, something so special you simply want to take it home and care for it. Do me a favour though – just try not to kerb it – particularly if it’s not yours. 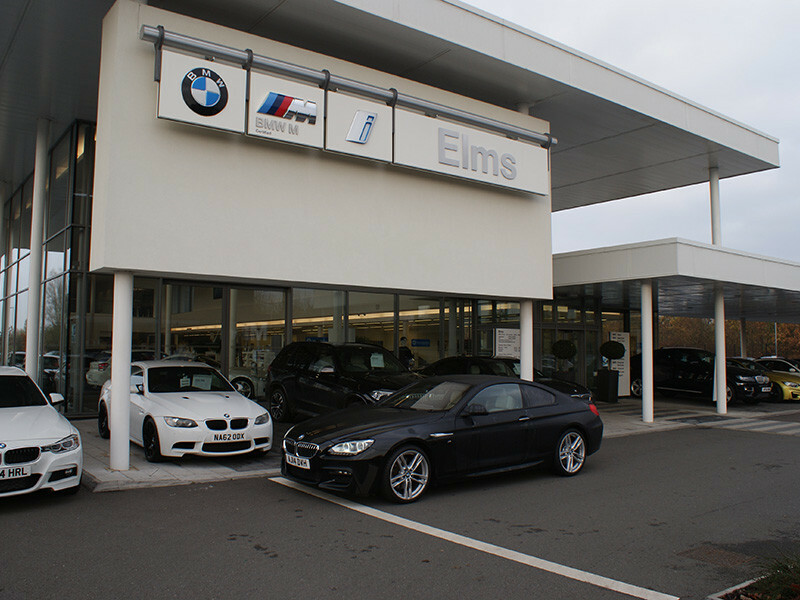 Let me give a huge thank-you to the Elms BMW Group for the loan of the car and impeccable customer service. It’s gorgeous and impressive – and maybe just a tad wide. 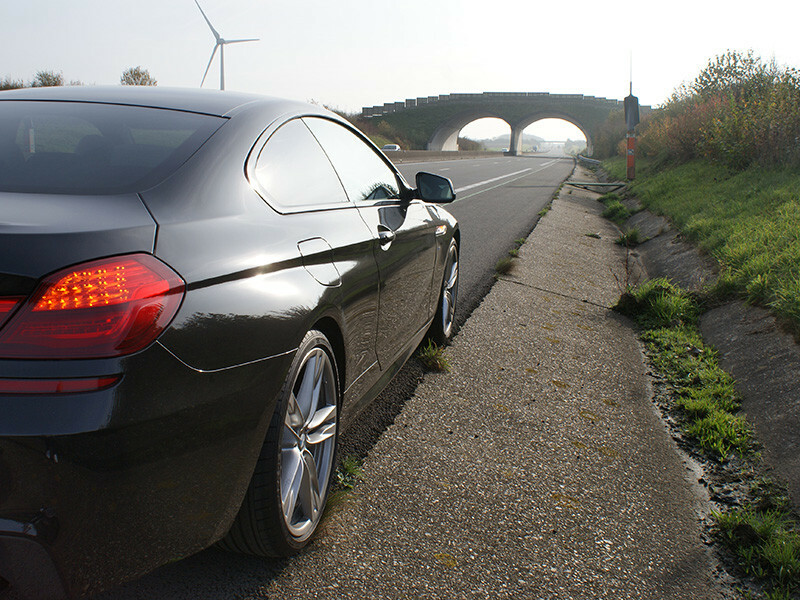 Thanks to: Elms BMW for the loan of the car which is currnetly for sale in our classifieds.